A new refrigerant supports a refrigerant (CFC, HCFC, HFC) conventionally. It is Freon discharge restraint law conformity product. 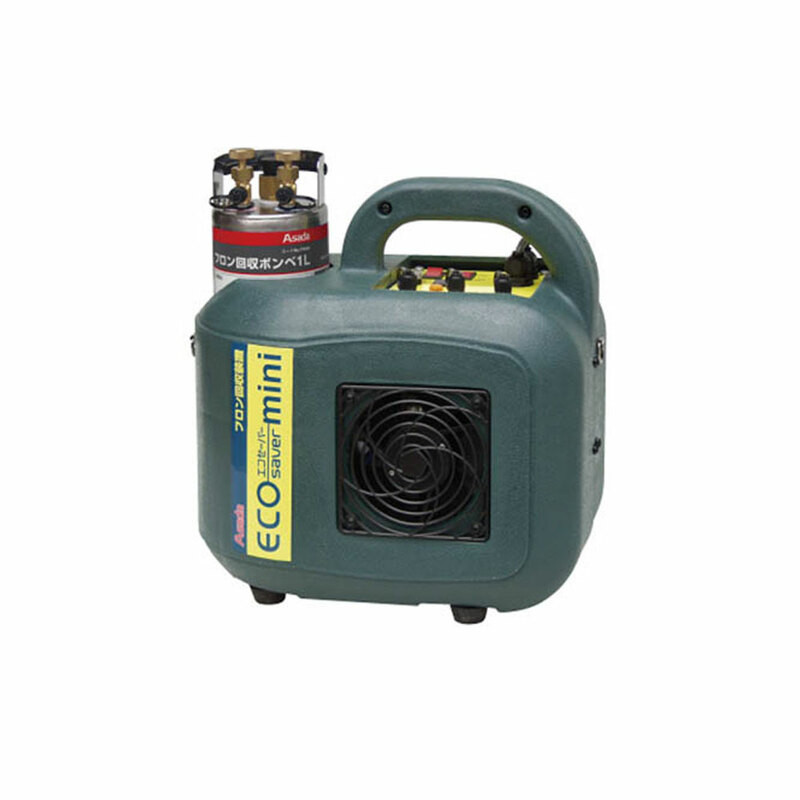 In comparison with a general collection device +24L cylinder, approximately 60% of setting space reduces it. 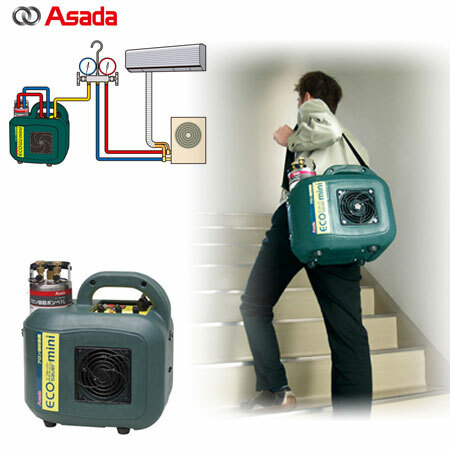 compact package air conditioners, vending machines, etc. For recovering CFC at repairing and disposing of small air conditioning equipment. Integral design that 1 L Cylinder can be built in recovery equipment. installation space is reduced by about 60%. Super Lightweight, Compact Space-Saving Design. 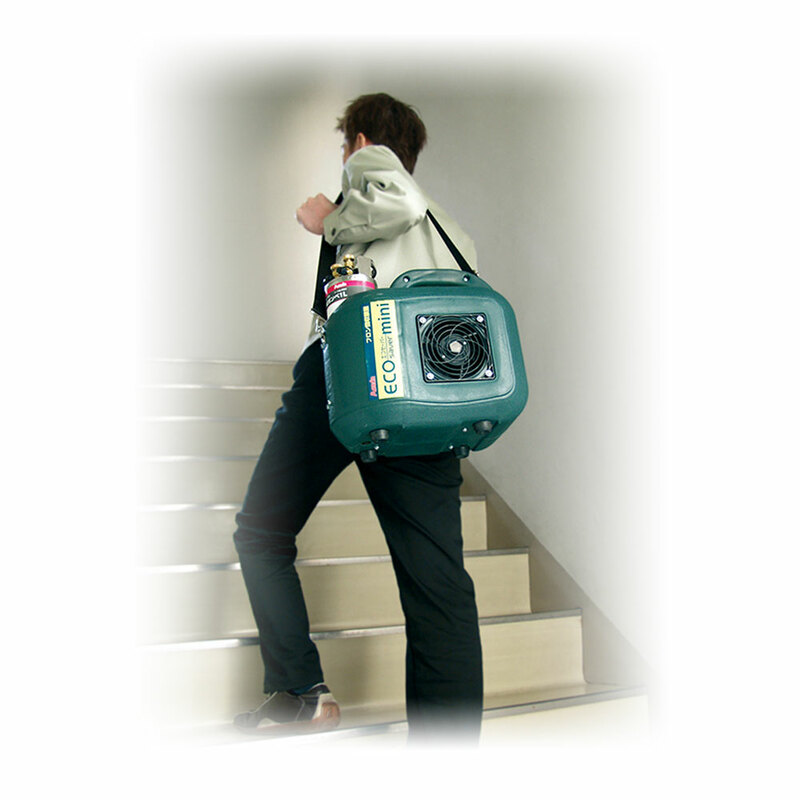 With shoulder straps, it is easy to go up and down the ladder/ stairs and move on site. narrow places such as rooftops and verandas.